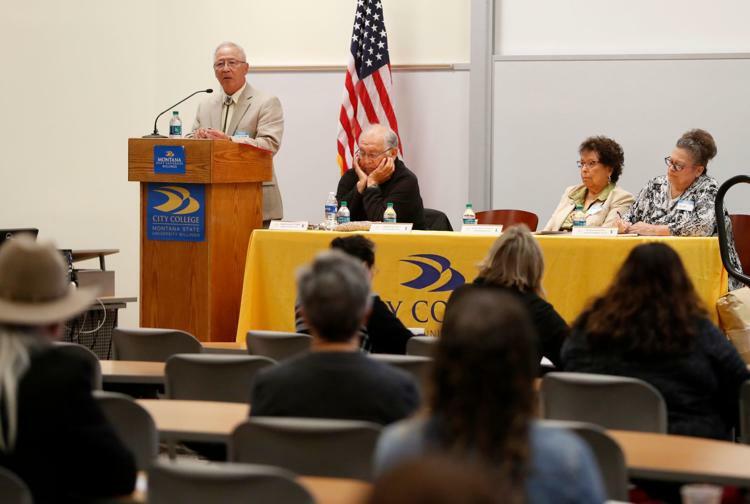 The four presidents — David Yarlott of Little Big Horn College in Crow Agency, Richard Littlebear of Chief Dull Knife College in Lame Deer, Carole Falcon-Chandler of Aaniiih Nakoda College in Harlem and Haven Gourneau of Fort Peck Community College in Poplar — spoke in Billings Friday as part of City College’s Tribal Language Symposium. As part of its 2018 summertime language institute, Little Big Horn College decided to compile an Apsáalooke dictionary. Yarlott said he hoped they’d gather definitions for 10,000 words. Instead, they came up with nearly 14,000.